For those who do not know the eastern Chinese city of Nanjing and many of the country’s urban areas suffer from intense and dangerous smog. The air quality index in Nanjing is at a 132 which is a level considered unhealthy for the public, could you imagine the air being that polluted where you live? Yes, pollution is everywhere but it seems Nanjing has is much worse than most other places. Stefano Boeri Architetti works with natural things and is more than familiar with reducing pollution. Stefano will be building two towers initially in Nanjing that will be covered with plants in order to reduce pollution there. These two skyscrapers will be holding around 1,100 trees and 2,500 cascading shrubs via rooftops and balconies. Construction of these building is set to be wrapped up by next year. That being said something much more than this is needed, which is where the forest city comes in. Stefano’s goal was to build a whole city and is now being commissioned by Liuzhou Municipality Urban Planning to do so for the north of Liuzhou along the Lijiang river. 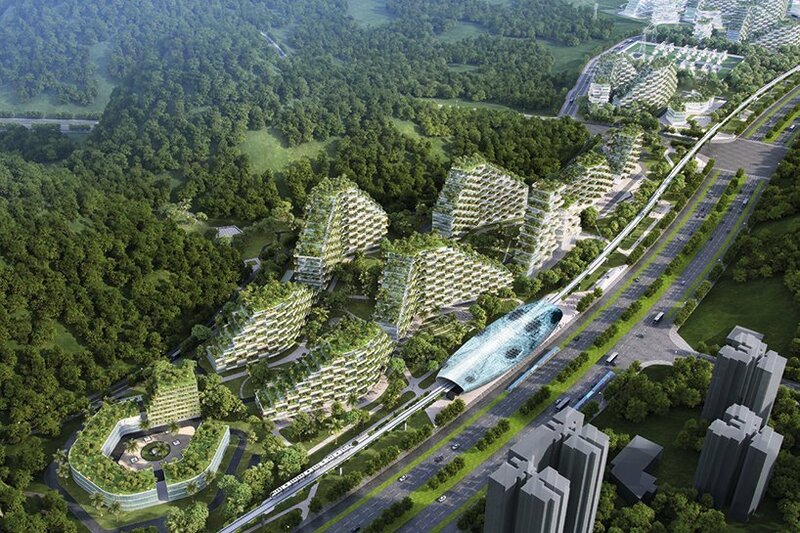 Yes, Liuzhou will be getting quite the green makeover. This City will be hosting about 30,000 people in a community where all of the buildings are covered by millions of plants. These plants will be absorbing CO2 and fine dust and create tons of oxygen improving air quality. This city will benefit the whole country in time. It has been said this Forest City will be self-sufficient as well and run on renewable energy sources like solar energy. This city is going to be amazing. If this project becomes successful it will be a wonderful example for green cities to come across the globe. The project is underway and should be completed sometime in 2020.